With the advent of recent advancements and ever changing environment, the list detailing the use of modern technology continually grows longer and is limitless. Technology has helped a lot of people in doing their respective works. In government agencies, technology is also very helpful especially in safety and security aspects. An example is the Spy Software installed into a phone to create a phone tracker. Crime detectives use them widely to track and convict a criminal. It is also used to prevent crimes from ever happening. Now, it can also be used to detect political dissidents or rebels. It was discovered by Morgan Marquis-Boire, a Google engineer and Bill Marczak, a computer science Ph.D. student. They were able to chase down a surveillance device from Bahrain. It is much more elaborate than that of a simple phone tracker. The two stumbled upon sophisticated, intricate network of computer espionage software used by the government to look for the political dissidents. The software is supposed to be sold and used only for criminal investigations but Boire and Marczak found proof that it has been used to aim against political rebels. The software allowed the government to keep tabs on the political enemies. They were able to look at their images, view conversations from Skype, turn cameras and microphones on. 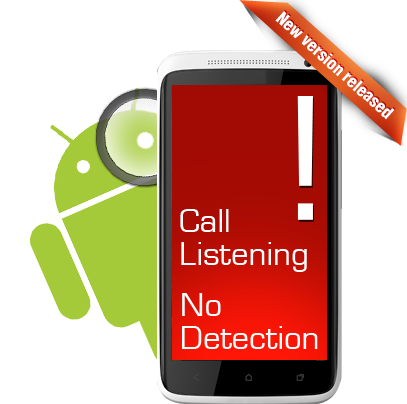 This spy software also has a mobile version designed for phones like Android and Blackberry to create a phone tracker. This software can be sold to a “good” country. Good translates as one that obeys rules and do not have hidden intentions. A good country uses this appropriately. They use it entirely for good purposes such as criminal investigation and law enforcement. It will be used to track down kidnappers, robbers, pedophiles, human traffickers, rapists, and other crime doers. No others reasons. On the contrary, if the software gets into the hands of a country with a “bad” reputation, it could get worse. In a country where the rule of law is not that strong, shaky and often not respected, it would be used differently. For example, political dissidents rally and voice out their fearless opinions against a corrupt government official or a questionable activity. One sure fire way to stop them is to track them down and keep their mouths shut in unimaginable ways. Another example is to chase journalists. These people’s job is to write and broadcast the truth. Truth does not always mean good thing. Journalists often expose the illegal activities of the government. They find and present to the public proofs of allegedly illegitimate and backdoor negotiations. The government can now use a spy software to chase them and put a stop to a journalist’s quest for truth. FinSpy was good product of modern technology but then, it is up to its users to where they would utilize this kind of technology. It is their choice. About the Author: Mackenzie Salis is a professional writer for 3 years. She is proficient at finance, technology and business field. She is the author of the site: http://www.netspysoftware.com/ where you can get more valuable information about mobile spy software.